General Admission $45, reserved $75. Service fees not included. 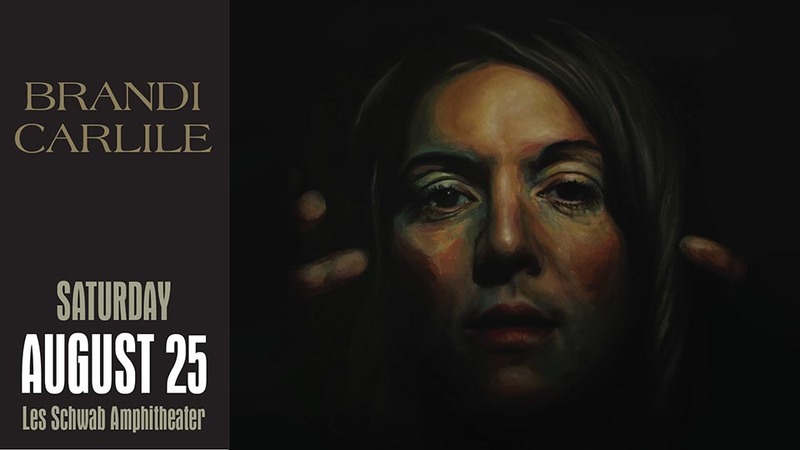 Brandi Carlile, one of the country’s most evocative singer-songwriters, heads to Bend this summer following the release of her sixth – and arguably most personal – studio album, By the Way, I Forgive You. Since her heralded debut in 2005, Carlile and her longtime collaborators, twin brothers Tim and Phil Hanseroth, have always offered listeners both control and abandon, often within a single song. The most well-known Carlile tunes, 2007’s “The Story” and 2012’s “That Wasn’t Me,” are dynamic journeys in themselves, encompassing myriad emotions and varied stylistic touches; “The Story” morphs from understated balladry to epic stadium rock, while “That Wasn’t Me” effortlessly straddles country soul and pop gospel. By The Way, I Forgive You encompasses the best of Carlile’s past records but with a bit more Americana in its soul than the stellar, but slightly more rock & roll The Firewatcher’s Daughter, her previous album.